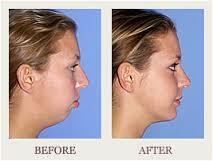 Main focus of this term paper is to discuss and analysis on Chin Surgery. Here discuss four things to Judge with Chin Surgery. These four things are Choosing the Right Surgeon, Paying for the Surgery, Choosing the Right Shape and Getting the Desired Results. There are going to be some healing involved too. You may not get the desired results until almost a year after the surgery has had place.